What happens when you take everything you’ve learned from over three decades as the world’s leading reverb company and you apply it to creating a room reverb? The Native Room Reverb, of course. With hundreds of presets of unparalleled reverb perfection, every recording you make can have the distinct sound of Lexicon. Rooms are typically smaller in size than a hall and less noticeable than a chamber. They can be effectively used to create the sense of space, without being overtly distinguishable. The Lexicon® Room algorithm was introduced in the PCM96 and is one of the most flexible algorithms we’ve ever invented. The Room algorithm can be very effectively used in: Post Production (ADR and Foley), music production (simulating recording studio spaces), and creating special effects (such as unconventional spaces, reverse reverbs, and gated reverbs). The Room plug-in provides the inherent realism of the actual space with a vast amount of control. A hall or even a cathedral could be called ‘rooms’, but when it comes to reverb, a Room describes a specific space or modeled space that is smaller than most live performance spaces. 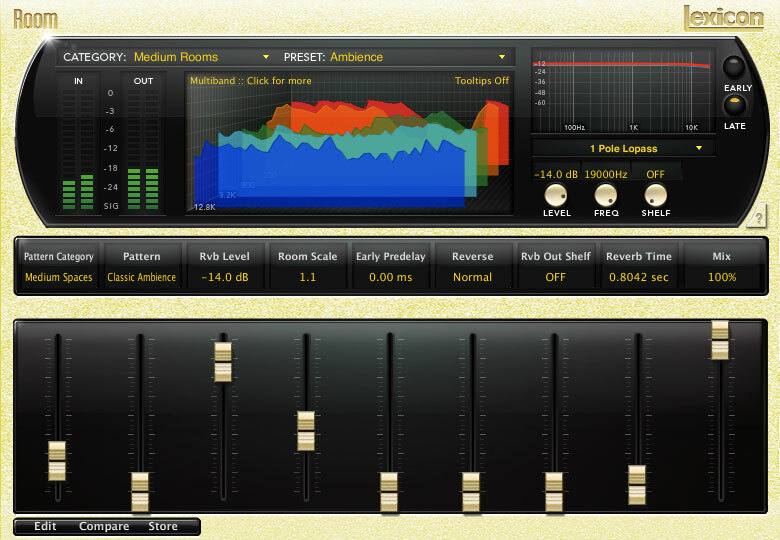 Typically, a Room Reverb is the most flexible, universal reverb sound because it is smaller and more controlled, making it applicable to almost any instrument or voice. Where Echo Chambers were separate rooms, designed to capture the reverb of the signal independently, Room Reverb in its most traditional sense is usually the effect of the room captured through the normal recording process or via a single mic placed in the recording space to capture the live recording. 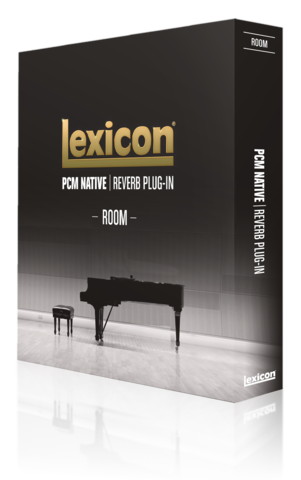 With the PCM Native Room Reverb, Lexicon set a new standard for Room algorithms. An instant studio hit, it’s hard to find a major production that doesn’t employee it’s unique, powerful sound. “This is the plug-in I've been waiting for for years. The glorious, smooth, warm Lexicon sound, without the hardware, I can't imagine ever needing another reverb.”"
The PCM Room Reverb is also available as part of the TEC Award nominated PCM Native Reverb Bundle. For other variations on Lexicon Room Reverb, please look at the PCM and MX hardware series or the MPX, LXP or PCM Chamber Reverb plug-Ins.